One in five City of San Diego city voters is Hispanic, and 90 percent or more of them are of Mexican origin. The city’s Mexican-American voters were instrumental in placing one of their own, City Councilman David Alvarez, on the special election ballot to replace scandal-retired Mayor Bob Filner in 2014. Alvarez edged out favored former mayoral candidate Nathan Fletcher by one percent in the primary vote, a fact that shows Mexican Americans have enough votes in the city to decide close issues. Their influence will be tested on Nov. 6 with two ballot issues that could decide the future of Mission Valley and the city: Measures E and G.
Politically, the Mexican American community has been in the city since the Spanish mission was established in 1769 and has been part of the United States since 1846, when California was annexed. Leaders among the community fully participated politically in the new American California to the point that one of their own was elected Lt. Governor and became Governor when sitting Gov. Newton Booth was elected to the U.S. Senate in 1875. Governor Romauldo Pacheco went on to win a seat in Congress and was appointed an ambassador. 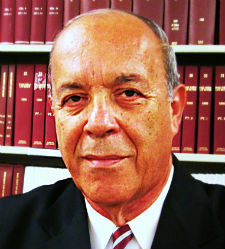 In each case, he was the first Hispanic to occupy those political offices. He also was instrumental in founding the University of California. It does not test our imagination to project that Governor-Congressman-Ambassador Pacheco would be in the forefront among San Diego’s Mexican Americans in supporting Measure G.
This measure authorizes the City Council of San Diego to sell — for fair market value — 132 acres of the Mission Valley stadium site to San Diego State University. With the Padres downtown and the Chargers in Los Angeles, the stadium sits essentially empty and unused with the exception of Aztec football home games. When Measure G passes, the first chore will be to build a new expandable stadium for SDSU, financed with California tax-free revenue bonds. Both the Aztecs and major league soccer teams from Tijuana can play games there. The university’s planners and representatives will immediately start the process to limit challenges to the stadium plans and construction that delay any large projects in San Diego. The competing SoccerCity group couldn’t do much of anything with the legislature to help the process because they are private developers, not a California state agency or a part of the California State University system. The SDSU planners will start on dormitories to be built and financed by private companies. A moderately-sized hotel is contemplated as a teaching laboratory for students majoring in hospitality management. Technical and research facilities are being planned to bring in new grants. All of these will pay “possessory interest” tax in lieu of property tax. For environmentalists, there are 90 acres set aside for San Diego River restoration and open space. That job can best be done by SDSU, not a group of private developers. The Sierra Club and other environmental groups support Measure G, along with many influential members of both the Republican and Democratic parties, the San Diego Regional Chamber of Commerce, the Hispanic Chamber of Commerce, construction unions, city firefighters and police. The results of a SurveyUSA poll released three weeks before the election show that 57 percent of city voters support Measure G, versus 26 percent for Measure E with 17 percent undecided. My instincts and experience tell me that the Mexican American San Diego voter makes up a decent portion of that 57 percent. He and she want jobs that pay well and more education for their children. 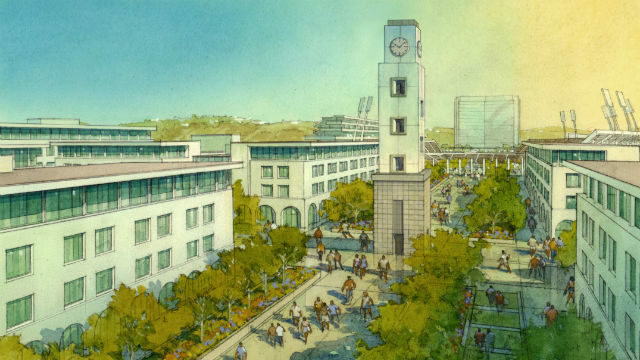 Measure G — the SDSU West alternative –provides for both.